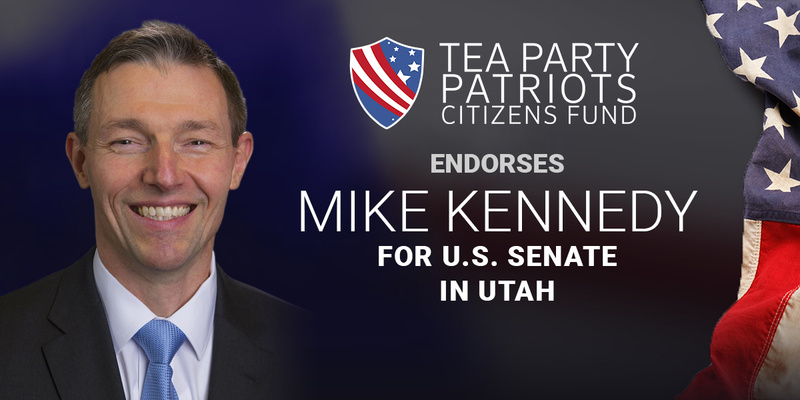 “For conservatives in Utah, the choice in the contest for the GOP nomination for the U.S. Senate is clear – Mike Kennedy is the right man for the job. “Mike understands the grave threat posed to our nation by our out-of-control national debt, and Congress’ refusal to curb its addiction to excessive spending. He supports the Penny Plan – a budget framework that spends just one penny less of every federal dollar spent the previous year as a means to balancing the budget in five years – and he also supports a Balanced Budget Amendment coupled with a spending limitation provision. “Mike supports term limits for Members of Congress, and wants to repeal both ObamaCare, and Congress’ illegal special exemption from ObamaCare. He’s a strong defender of the 2nd Amendment, and opposes Common Core. “As the son of a Canadian immigrant, Mike is particularly sensitive on the question of immigration. He believes we need to build a wall and secure the border, and then fix our legal immigration system. “And Mike is a strong supporter of President Trump and President Trump’s agenda – something his opponent cannot say. It’s no surprise our members and supporters in Utah overwhelmingly support Mike’s bid for the U.S. Senate.